Overcast and showery for a walk today through Putney towards Gladesville. A real mix of houses, some beautiful, some ugly, others huge and some obviously just sitting on a goldmine by the water and refusing to waste a cent on any renovation or work before selling for demolition in the future. 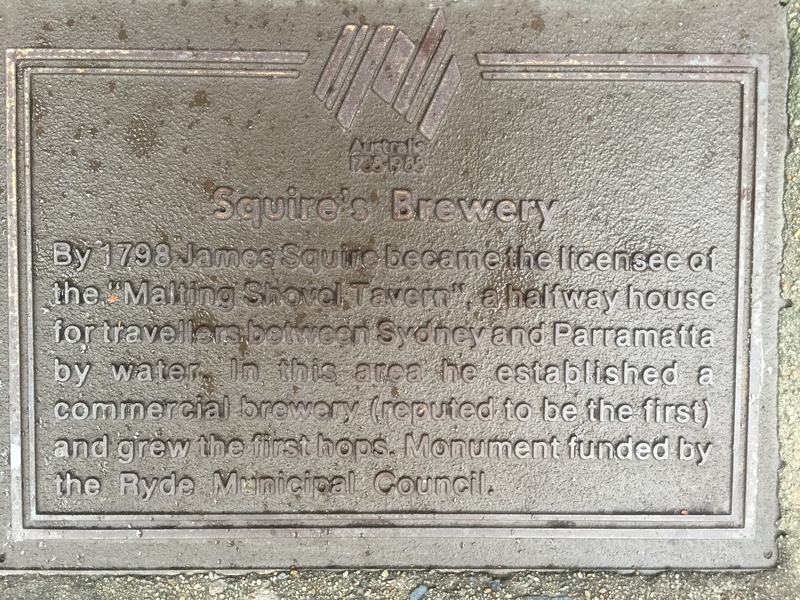 Who knew that the original James Squire Bewery, Australia’s first brewery, was in Ryde, eh? Well, Putney. Where the red spot is below. 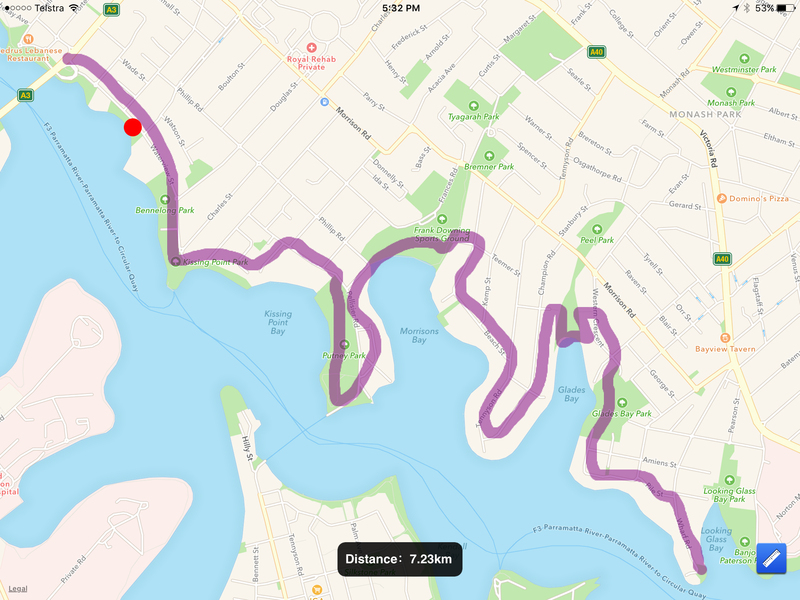 A lot of this walk was along the waterfront and through parks… nice.